You know the deal, wet-style lube will lubricate your bike for longer, but the wet film attracts more dust and sand. Dry-style lube, on the other hand, does not attract the dirt, but it does not lubricate for as long. This is the lube that ends the lube debate. We have been using it for the last six months and love it. 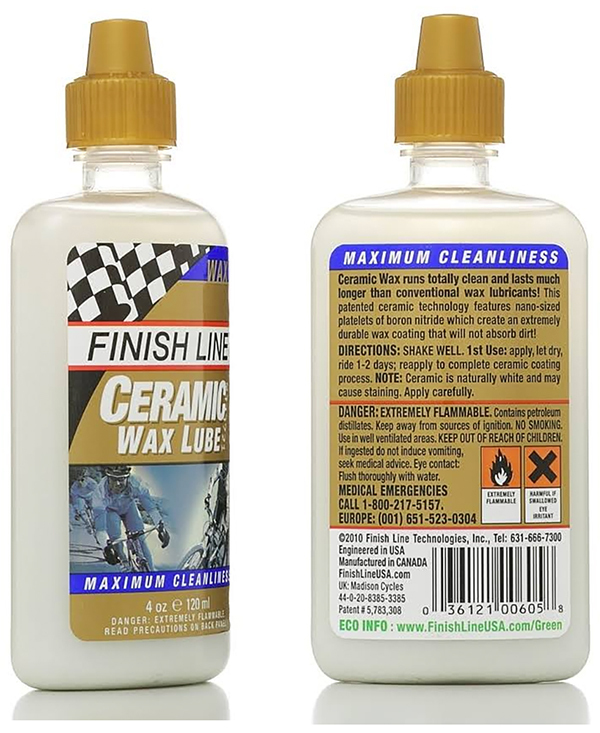 Finish Line’s Ceramic Wax Lube is different. It is wax-based, and it uses ceramic nanoparticles that keep your chain clean and dry. But it does not come with the durability compromise that normal wax lube requires — the nanoparticles (boron nitride molecules, if you must know) bond to the chain, providing lubrication for longer. It works. 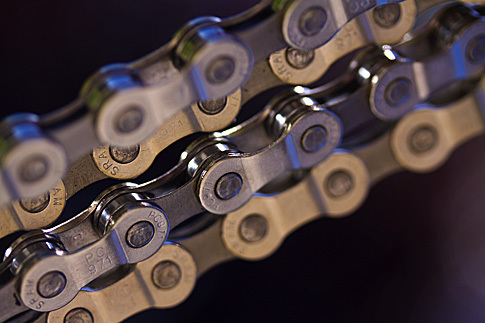 After repeated use, we found these hard-working nanoparticles fully coat the chain, but not in a wet, flimy way, more like a hard and slick shell. The result is a really fast and smooth chain. 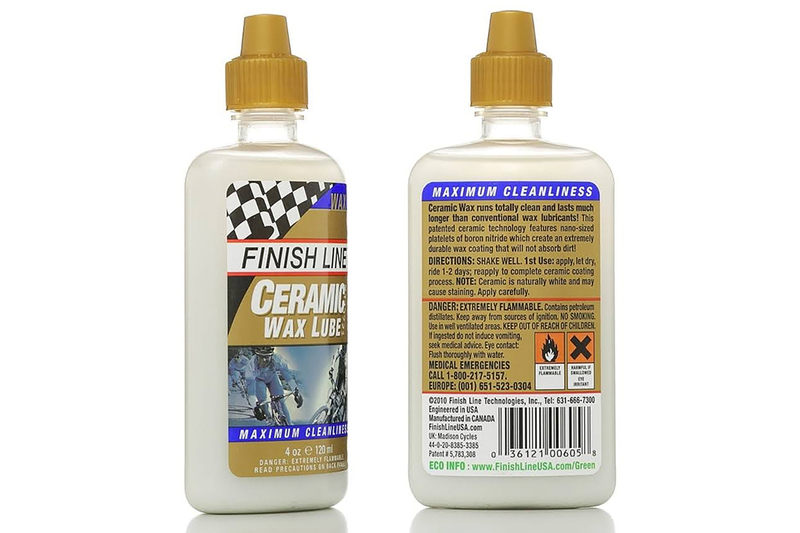 Finish Line makes its ceramic lube in both wet and dry style. Both have the slippery nanoparticle (boron nitride) that bonds well to the chain. The dry style one is awesome. It’s a really dry lube that keeps your chain dirt and dust free, but it is durable enough to keep your chain moving fast and clean through a long ride or race. We don’t even need to do a full clean of our chains anymore (perhaps with the exception of a wet gravel ride). It is enough to simply flush the chain with a modest amount of this stuff, wipe it off thoroughly, and ride away. This wax definitely gets better after multiple uses, give it some time to fully coat all of the pins multiple times. It does not seem to build up. As a bonus, it’s also a great option on your commuter because it does not get on your pants if they rub against your chain as you ride to work. It still falls short of a wet lube’s performance for a 100 mile+ ride on a clean surface, but for anything else, this is the stuff. If you know you are a lazy chain luber, maybe go with the wet style. No, I can’t even write that. Wet lubes attract too much dirt. Just get used to putting dry Ceramic Wax Lube on after every ride, and your bike will love you for it. A regular size 4oz bottle sells for $10. previous:Most Insane Line Ever Skied!